Midwest Machinery Movers – Sometimes They’re Big! This is one of those big pieces of equipment that had to be scheduled before the spring weight restrictions came on. 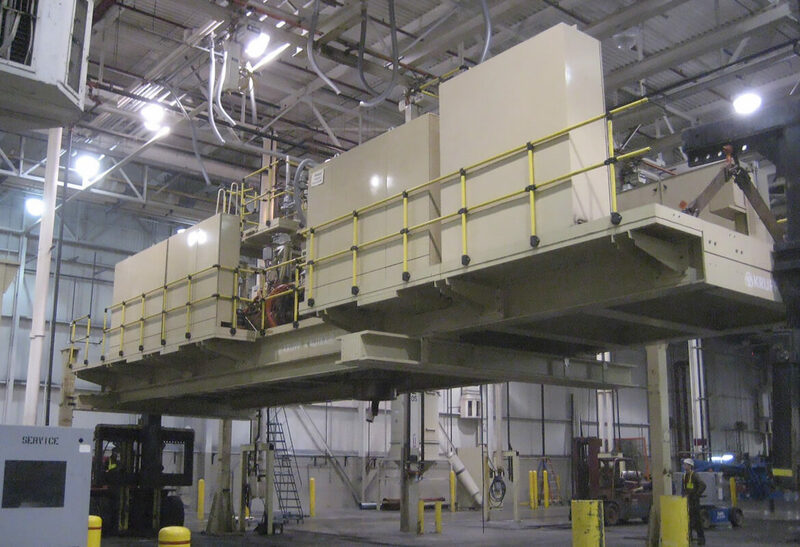 Being 140,000 pounds, this blowmold machine’s upper platform exceeded what would have been allowed during the weight restrictions. 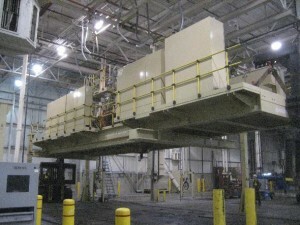 After lowering the platform 23 feet to the ground, it also had to be disassembled for shipping as it was over 15 feet wide. When you move away from the ordinary to oversize or overweight, planning is a must. It was great to see it all come together.